In future use woollens for proddy and cotton jersey for hooky. No contest. 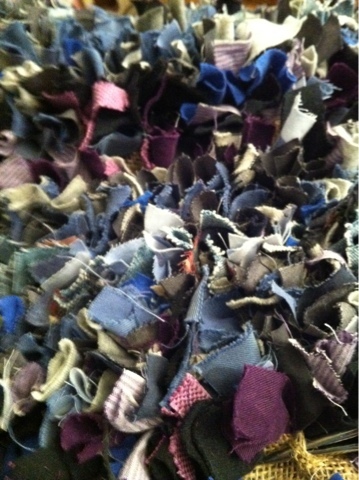 Having said that, father's proddy rug in grey, blue, black, purple, lilac cottons is doing well.